Joe Van Cleave's Blog: Who's Enabling Whom? Post-Script: A big thanks to Ted Munk for identifying it as an SM3. And later I checked the Serial Number Database and found it was made in 1957, the year of my birth. Which reminds me: do as I say, not as I do. 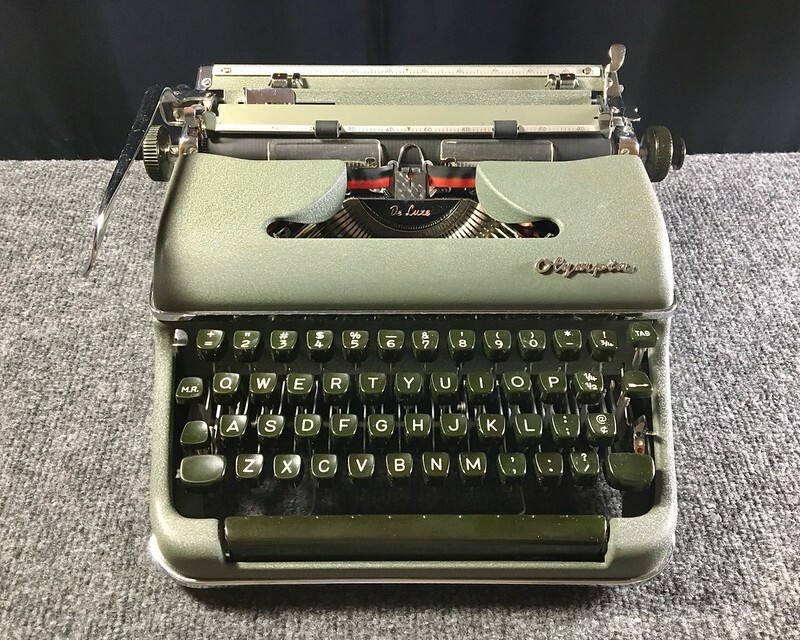 If you have any kind of typewriter collection, you should register them, in serial number and photos if possible, on Ted Munk's site. I've been remiss. Really need to get this done. Here's Duke City Kitchen's menu. PPS: After typing this two-pager, the backspace decided to start working. Goes to show, these machines thrive on being used. Congratulations on the fine looking SM3. I find the SM3 a much better typer than the latter SM7 on models. Similarly with picking the best typewriter on your list. the early H3k machines type much nicer than from the boxy 1966 models on. SM3, in my humble opinion, is one of the best out there. It really is an engineering marvel. 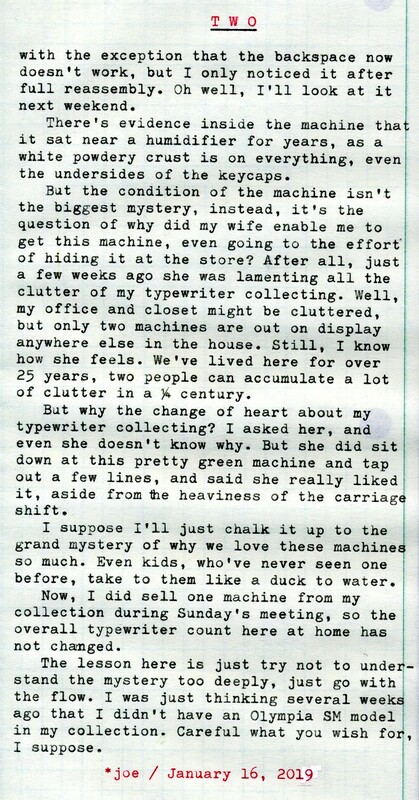 Wow, the stores are typewriter-rich down there! Cool video and post! Oh, and maybe the answer to your mystery is that your wife didn't have a change of heart; her heart was on your side all the time and you've already made the best find. So now every typewriter is a bonus. 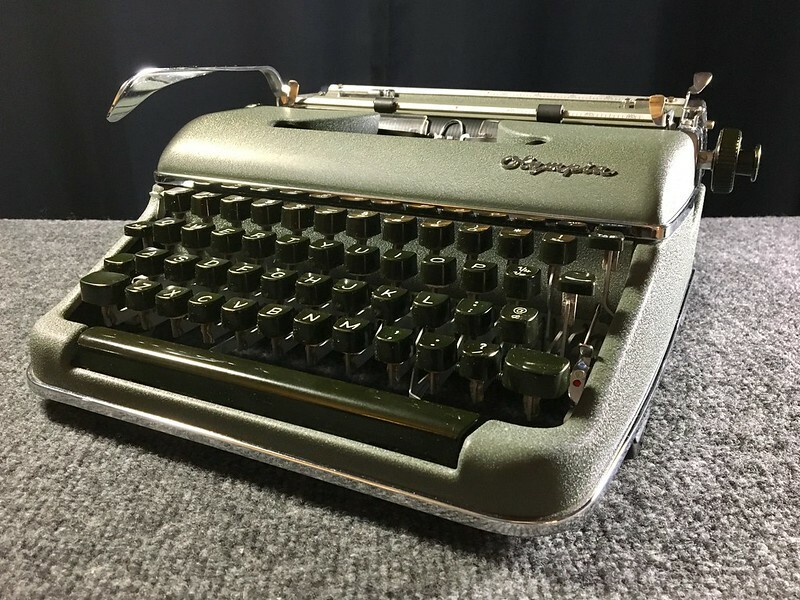 That's a beautiful Olympia, a great find by your wife!